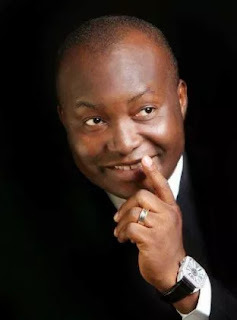 ENUGU- OIL magnet, publisher and winner of Anambra South Senatorial district election, Dr Ifeanyi Ubah has denied stories making the rounds that he has defected to the All Progressives Congress, APC. Ubah has recently been fraternizing and conducting Senate leader, Senator Ahmad Lawan and other senators round Igbo communities and establishments in Lagos in the wake of the Auto Spare Parts and Machinery Dealers Association, ASPAMDA market crisis in Lagos, which elicited rumours that Ubah may have defected to the APC. But reacting to the allegation via social and traditional media, on Tuesday, Ubah who won election under the Young Progressives Party, YPP, said he would be stupid defecting to the APC now when his election is still being challenged at the tribunal by his rivals. Ubah said: “Caucusing is a parliamentary term that means if you’re a minor in the parliament; either you caucus with the opposition or with the ruling party. Now, I’m caucusing with the APC because I will stand a good chance of getting some positions that will help me deliver my promises to my constituency. Let me emphasize, I wouldn’t be that stupid to join APC when I still have outstanding cases in court. Am I going to challenge those people as APC member? “If I join APC, will I be able to achieve my aim of vying for those committees that are exclusively kept for opposition party? It will be very sensible for me to remain in the YPP because when there are two things to share for the two opposition parties, PDP will take one and I will take one for YPP and my constituency of Anambra South,” he explained.